Barbara K. Farina (nee Trazer), age 85, of Milwaukee, was called home to be with the Lord on Tuesday, October 16, 2018 at the Lawlis Family Hospice in Mequon. She was born on May 27, 1933 in Hungry to the late Casper and Barbara (nee Goll) Trazer. Barbara immigrated with her family to the United States settling in Milwaukee, WI when she was five years old. As a child she attended Holy Redeemer Catholic Church and school. 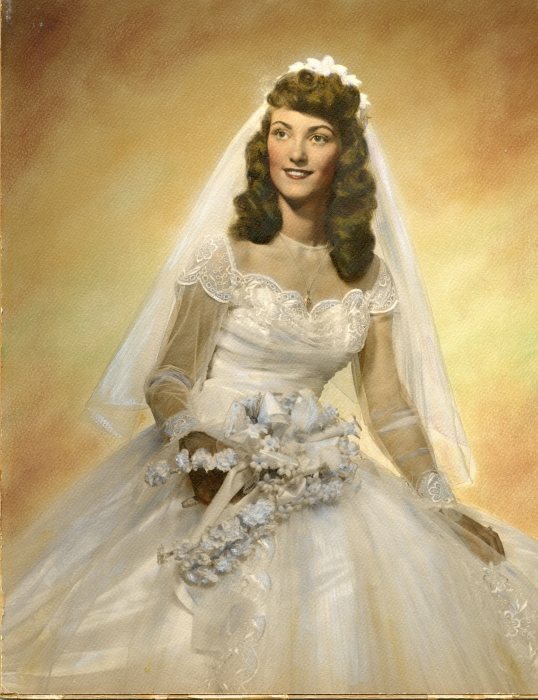 On August 9, 1952 she was united in marriage to Salvatore Farina Jr. at Holy Redeemer Catholic Church in Milwaukee. Barbara lived for her children. Her greatest joy in life was to be a stay at home mother. She will be remembered as a very devoted and caring mother, grandmother, and great-grandmother. She loved art, and enjoyed baking and cooking. She was an avid reader and had a very creative mind. Those that Barbara leaves behind to cherish her memory include her loving children, Cheri Metzger and Jeffrey R. (Toni Marie) Farina Sr.; eight grandchildren, David Andrew (Deidré) Metzger Sr., Deborah (Andrew) Metzger-Hadler, Dominic C. Farina, Kristina Marie Farina, Salvatore (Brittney) Farina, Jeffrey R. (Jamie) Farina Jr., Daniel Herber, and Anna Marie Farina-Zillmer (Austin Zillmer); thirteen great-grandchildren, David Andrew Metzger Jr., Dainen Alexander Metzger, Dashton Dean Metzger, Anthony Michael Farina, Faith Ann Farina, Hailey Mae Farina, Isabella Rae Farina, Braden Scott Farina, Vincent Cruz Farina, Austin J. Farina-Zillmer Jr.,Luca Cross Farina, Aliceanna Farina, and Gabriella Farina; a sister-in-law, Rose Gregg; and many other relatives and friends. In addition to her husband and parents, Barbara was preceded in death by her daughter, Deborah Lee Farina; her son-in-law, Andrew Metzger; her great-grandson, Carmine Farina; her parents-in-law, Salvatore and Antonia (nee Napoli) Farina Sr.; a sister, Mary Axt; three sisters-in-law, Grace Torcivia, Rosalie Tomasello, and Gloria Perick; and three brothers-in-law, Michael Farina, Santo Farina, and Joseph Farina. In honor of Barbara’s wishes, a private family service has been held. The family would like to extend a sincere thank you to Lynn and the rest of the staff of Horizon’s Lawlis Family Hospice in Mequon and to Debbie and the staff of Kathy Hospice in the town of Polk for the wonderful care that was given to Barbara and her family.